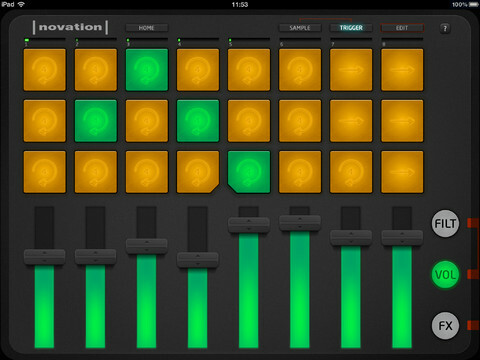 Launchpad App, Virtual instrument for iPhone / iPod Touch / iPad from Novation in the Launchpad series. Novation announces the availability of the iPad version of their Launchpad, a free app that ships with sounds and loops. The Launchpad App includes 8 ready-to-use sessions that cover different musical genres. You will be able to remix these sessions by recombining the included sounds and loops via the multi-color pads. The Launchpad App works on iPad 2 and above with iOS 5.1 or later. Novation adds that it is designed to work with the Launchkey synth on iPad. You can download Launchpad for free from the AppStore. The PPG WaveGenerator updated Wolfgang Palm updated his PPG WaveGenerator iPad synth to version 2, which expands the MIDI capacities. The KissBox RTP-MIDI now supports the iPad The new KissBox RTP-MIDI v5.5 firmware now allows CoreMIDI connection to the iPad and iPhone via WiFi. Garritan launches a Harp library Garritan reworked its GigHarp library and introduces today Harps, a new virtual harp collection for the ARIA Player.